The reason Chinese students have the highest test scores in the world is because they cheat. If that is not entirely true, it is at least partially true. In the U.S., Asian and Asian-American students appear to work harder than their Caucasian classmates. Anyone who has observed this can easily believe the reports of China’s international dominance in reading, science and math. 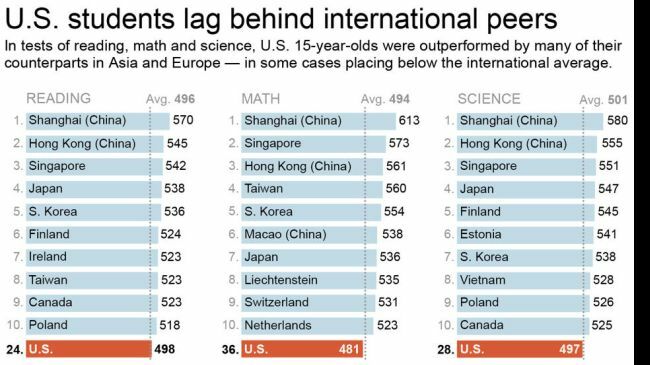 Test results say students from Shanghai lead the world, with the U.S. as a whole coming in 29th. Why is it then that Americans always win an unusually high number of Nobel Prizes while the Chinese win very few? Well, maybe we’ve rigged that system – which is something the Chinese seem to have done with the system of international test scores. 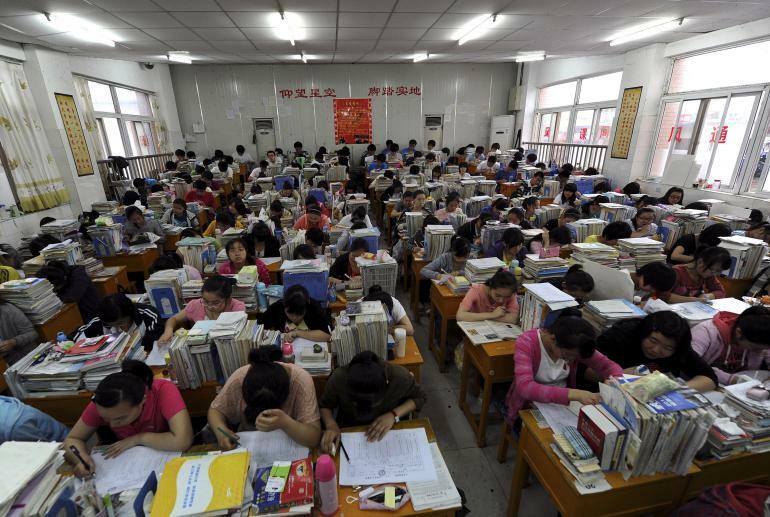 It is not uncommon for Chinese test takers to use wireless cheating devices. Sometimes the students just buy the test answers on the open market. This is not to deny that there is incredible test preparation in China. One famous test-prep school starts at 6:30 a.m., finishes at 10:30 p.m. and gives homework. But do these students actually learn anything? 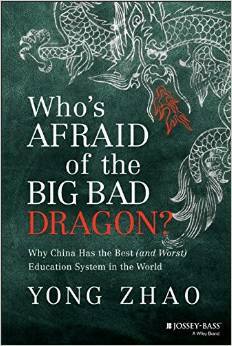 There is increasing legitimacy, in both America and China, in the argument that teaching to the test does not a genius make. In the final analysis, creativity and innovation are sacrificed. Zhao points out that the Chinese invented the compass but instead of using it to navigate the globe, they used it to find locations and burial sites with good fengshui. He said China – which had no Renaissance, no Enlightenment and no Industrial Revolution — was the first with gunpowder but never used it for modern weaponry. Then there is this business of the Nobel Prize. A quick search of the Internet shows the Chinese have won six while the U.S. has won 353. It’s been said that Zhao wrote his book to convince the U.S. not to discard an education system that emphasizes fresh ideas and the spirit of individualism. It’s for certain he doesn’t want us to be suckered in by reports of China’s high test scores. If the West is concerned about being overtaken by China, then the best solution is to avoid becoming China. My own opinion is that the Chinese are a lot smarter than Zhao lets on. For one, I think Chinese mariners of old did a lot more global navigation than his statements suggest. And with respect to gunpowder, in some circles China might be considered highly moral and civilized for preferring firecrackers over canons. I’ve been amazed by both the ancient and the modern Chinese mind. Its effectiveness should never be underestimated or said to lack creativity. If the American mind has dulled – and there really is no evidence of that – it is because it has become too comfortable. Fortunately, the Chinese economic miracle has given it some discomfort. If it is napping, it will surely wake, and soon.